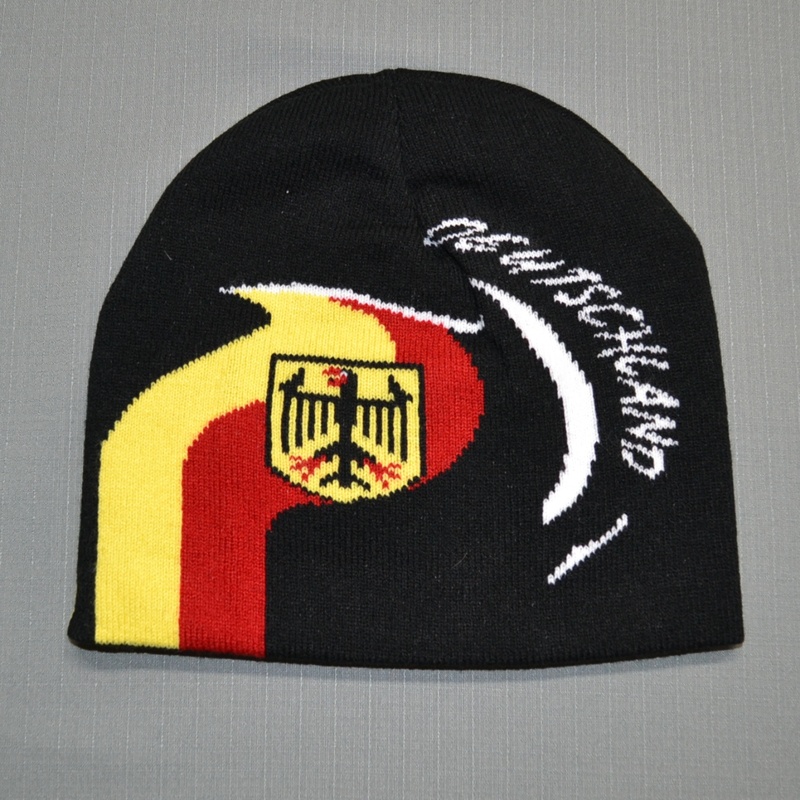 This beanie is black and features red and yellow waves, Germany shield and Germany/Deutschland wording on either sides. One size fits all. 100% acrylic. 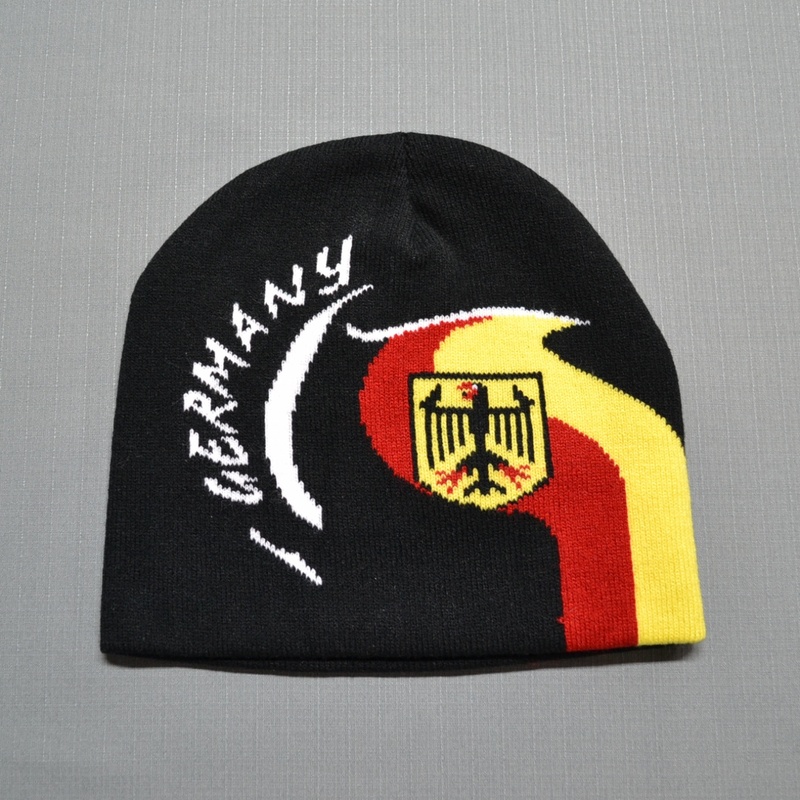 Imported from Germany. Self sticking D” decal. Measures 7″ from left to right and 4 3/4″ from top to bottom.